Offering some PG courses with an optional one-year industry #placement. Please go through the following information along with the attached course leaflet and further pass this on to all prospective students. Real world experience: For many students, the university can be quite theoretical and an industrial placement is your first opportunity to apply your knowledge to the real world. During the placement, students will be able to gain further insight into the industrial practice that they can take forward into their individual project. Networking: work placements often give you the opportunity to create a network full of references from the individuals you have worked with. Such references can provide you with recommendation letters and introductions that will help you to find new opportunities. Builds Resume: The graduate job market is incredibly competitive, so having a full resume that includes actual industry experience is sure to be a valuable asset. Employers are much more likely to hire someone with internships and work experience rather than someone with a generic resume, lacking experience. Improves Employability: By doing a work placement, you learn effective communication skills, discipline, and efficient management of time. Often, an internship can directly lead to a full-time job at your host company. Placements are often paid: this is an excellent opportunity to earn while you learn. Admission in UCLAN, UK through LN Consultancy !! Admission in UCLAN, UK Sep. 2016 intake !!! Across the School, we have a great history in teaching our subjects: we have been teaching Journalism for over 50 years . Also we are the only university in UK that has all three : NCTJ – National Council for the training of journalists, PTC – periodicals training council (Magazines), BJTC – Broadcast Journalism Training Council and is maintaining top five for practical journalism training. The two videos below are great – they have brief interviews with alumni working at the BBC, ITV, Trinity Mirror, etc. as part of cJAM – a yearly meet employers event at UCLan in the School of Journalism. University of West Scotland provides students with the opportunity to study the same University Programmes while living in London. • The Campus is located at the Heart of London. • Global community of more than 15,000 students from over 130 countries. Degree is awarded by University of West Scotland. Visa duration: course duration+ 4 months. Tier 4 Sponsor Status: Highly Trusted by UK Border Agency. • At least 50% marks in the Last Completed Qualification. • IELTS overall score of 6.0 with at least 5.5 in all other components. • Work experience of at least 1 year is preferred. For more details contact : LN Consultancy – +91-766 598 3000. LN Consultancy providing Global Intern Scholarship scheme for September 2015 intake. Global Interns is a campus-based placement scheme. By taking part in a Global Interns placement, you will be able to gain and develop transferable employability skills that will help you when competing for jobs. This pilot scheme offers on-the-job training, and is paid. Placements are for the duration of thirteen weeks in length and up to 10 hours per week during term time. Global Interns placements offer students the opportunity to develop their employability by taking part in exciting and meaningful work experience that also benefits the University by enriching campus life. The expectation is that placements offer a secure and supportive work environment with on-the-job training and a high level of supervision and mentoring. Placements vary from administration-based roles to project work, and everything in between. Why you should be considered for Global Interns Project. How you would make a positive contribution to DMU during your internship. At Heriot-Watt we’ve created an environment that nurtures innovation and leadership – where our researchers, staff and students can realise their potential and develop their ambitions. For almost two centuries we’ve remained true to the values of George Heriot and James Watt – the two giants of industry and commerce who give our university its name. Our foundations are built on practical, applied learning. Education that meets the needs of global industry and enables our students to fulfil their career aspirations. We shape tomorrow’s work-ready, industry-fit graduates and postgraduates. We connect with industry at every level and develop programmes to match their needs. Real issues, real projects, real research – so our students get practical, real-life experience and the employer gets work- ready industry-fit graduates. We know practical, applied learning, research and teaching inside-out. It’s what we’ve always done. By engaging with business on real issues, real projects, and real research – our students get practical, real-life experience and the employer gets industry-fit graduates. We’re big enough to attract some of the leading experts in their fields and we’re small enough to give our students the chance to learn from them – not at arms-length, but hands-on. We give our students a real taste of things to come in their careers – they don’t just know what to do, but they also know how to do it. It’s why we rank 15th in the UK for average starting salary of £23,285 and 94% of students are in employment or further study within six months of graduation. We provide a global perspective and experience – our academic and student body is a diverse international mix with 1/3 of our students at our Scottish campus coming from overseas. We have campuses in key locations across the world in Malaysia and Dubai as well as the UK – offering our students the unrivalled opportunity to transfer between campuses and obtain a truly global education. For more admission details contact : LN Consultancy – +91 766 598 3000. Speaking at the Re-imagining the University conference in Edinburgh on October 9, Scottish education minister Michael Russell called for the reimplementation of post-study work visas in Scotland. The minister criticised the UK policy, implemented in 2012, whereby these visas were abolished, removing the opportunity for many international students to stay in Scotland for work after graduation. After the abolition of the post-study work visa, the number of new entrants to Scottish universities from India decreased by 58 per cent, from Pakistan by 38 per cent and from Nigeria by 22 per cent. In its submission to the Smith Commission, the body tasked with drafting proposals for increased devolution of governmental power to Holyrood, the Scottish National Party (SNP) voiced concerns over the decreasing number of foreign applicants to Scottish universities. The SNP argued that abolition of the post-study work visa played a significant role in the decrease seen in recent years. Earlier this year Pete Wishart MP, SNP home affairs spokesperson, stated: “Scotland needs an immigration policy which suits our economic needs, and keeps up with the likes of Canada, Australia, Germany and New Zealand who all have explicit strategies to bring in talent to the benefit of their economies. In 2005 Scotland set up the Fresh Talent: Working in Scotland Scheme (FTWiSS) with the purpose of bridging the gap between study and work for fresh graduates. Through this scheme, overseas graduates who were interested in living and working in Scotland were allowed to stay on for a two-year period to look for employment. Despite its success, the scheme was short-lived. FTWiSS came under heavy criticism from English universities that claimed that the scheme was a way of favouring Scotland over other parts of the UK and as such, went against EU competition law. This opinion resonated with British officials as in 2008, with the introduction of a new point-based visa system, FTWiSS was subsumed by the UK immigration system. Speaking to The Student, Edinburgh University Students’ Association (EUSA) Vice President Academic Affairs (VPAA) Dash Sekhar said: “We welcome any re-introduction of the post-study work visa. “Since 40 per cent of our student populace are currently on the Tier 4 visa, we welcome the opportunity to give these students a chance to find work and settle in their country of study again. For more details contact : LN Consultancy – +91 766 598 3000. Both the Liberal Democrats and Labour plan to reinstate a post-study work visa for international students if they are elected in the UK’s general election in May, senior MPs said in a debate yesterday. Julian Huppert MP (LD), The Open University Chancellor Martha Lane Fox (chairing), Liam Byrne MP (L) and Greg Clark MP (C). Beckie graduated from the University of Leeds with a degree in Japanese, during which she lived in Kyoto for a year. She loves travelling to report on different areas of the world as it enables her to fulfil both her childhood dreams of being either an explorer or a writer. Beckie can be engaged in discussion about feminism, politics and the media and is very fond of brunch food. 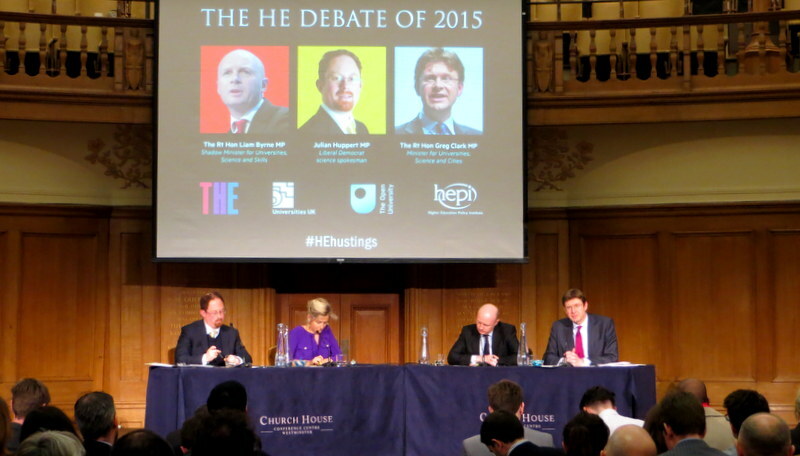 Speaking at the THE HE Hustings jointly hosted by Times Higher Education,Universities UK, the Higher Education Policy Institute and The Open University, Shadow Education Minister Liam Byrne and the Liberal Democrat MP Julian Huppert also reiterated their parties’ commitment to removing students from net migration figures. Shadow Minister for Universities, Science and Skills Liam Byrne, who was responsible for the introduction of the original post-study work visa under the previous Labour government, said that he wanted to see its re-introduction in some form, but that the conditions would not necessarily be the same. His promise to remove students from net migration figures was met with applause by higher education stakeholders attending the debate, and was seconded by Huppert, who insisted their inclusion in the figures – and therefore in the current coalition’s target cap on net migration – is “absurd”. Byrne also said that the UK needs “a cash-backed initiative to rehabilitate UK higher education with international student audiences”. Minister for Universities, Science and Cities Greg Clark said he wants to see the UK become the “world’s leading destination for overseas students” but did not commit to either the reinstatement of the post-study work visa or the removal of international students from migration figures under Conservative leadership. He noted that international student figures were up in the last year and insisted that he had been “assiduous” in reassuring Indian and Pakistani students that they are welcome in the UK. However, his assurances were met with scepticism among the audience, while Byrne said that recent Times of India headlines on announcements such as Home Secretary Theresa May’s suggestion to force foreign graduates to return home before applying for a work visa demonstrate the UK’s reputation has suffered “huge damage” among prospective international students. Leeds Beckett is one of the most popular universities in the UK, providing work-ready education for students who don’t want to wait to graduate to kick-start their career. Courses at the University are developed in conjunction with first-class employers, ensuring you develop the skills, knowledge and experience employers are looking for. You will have access to exceptional work placement opportunities and sandwich year options, giving you the best possible start once you graduate. As a student at the ISC you will have full access to University facilities and services, so you will feel a part of campus life from your very first day. The University has two campuses in fantastic locations. Both offer a range of specialist facilities to help you get the most out of your studies, including award-winning 24/7 libraries with Wi-Fi, food courts, shops, sports facilities and study areas. Additional social areas and entertainment venues can be found at the Students’ Union, which is also the focal point for student support services, social events, clubs and societies. Rose Bowl is home to the Business School and offers modern teaching spaces. Broadcasting Place was voted the best tall building in the world in 2010. Portland and Calverley health facility has a £1 million state-of-the-art clinical suite. Cloth Hall Court features an impressive mock law court room, for law students. Carnegie Sports Centre offers outstanding sport and fitness facilities, including squash and tennis courts, 20 metre swimming pool, 3G pitch and an athletics centre used for training by the Olympic medalists Jessica Ennis and Alistair Brownlee. For more details contact: LN Consultancy​ – +91 766 598 3000.